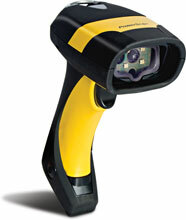 PD8530-HD	 PowerScan D8500 High Density, High-density version. Scanner Only - Cables and accessories must be purchased separately. These include USB (Part# CAB-441), PS/2 (Part# CAB-442), or RS-232 Serial cables (Part# CAB-433) and a Power supply (Part# 90ACC1920). The Datalogic PD8530-HD is also known as Data Logic	DTL-PD8530-HD	or PD8530HD	.